Ms. Mallika Rukminie Samaranayake is the Technical Lead for the CPC Learning Network, Sri Lanka and has been holding this position since 2009 from inception. She is also the Founder Director/Chairperson of the Institute for Participatory Interaction in Development (IPID), the host organization of CPC-LN, Sri Lanka. IPID promotes participatory methodologies in development through training and consultancy services for National, International, Bi-lateral and UN Agencies. 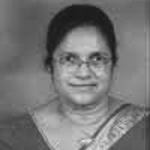 She has served in the position of Special Project Director – Ministry of Education, Officer of the Sri Lanka Education Administrative Service (SLEAS). She was the Sri Lanka Team Leader for a number of Research Studies and Evaluations conducted in collaboration with Columbia Group for Children in Adversity, University of Columbia, USA and has functioned as Team Leader/member of a large number of research assignments, evaluations and social assessments, both in Sri Lanka and overseas, with over 30 years of consultancy experience.